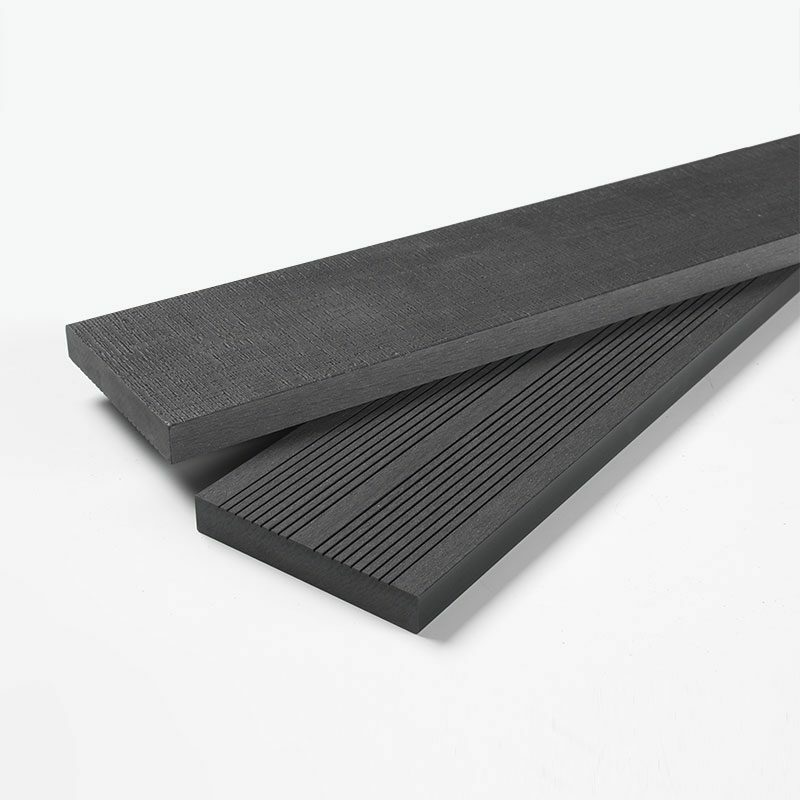 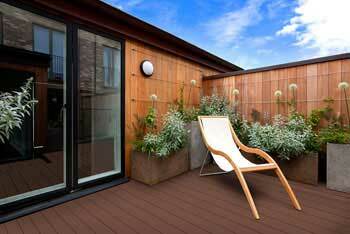 Our solid composite decking is as described; offering a stunningly durable and efficient deck which will remain sturdy and strong for up to 15 years. 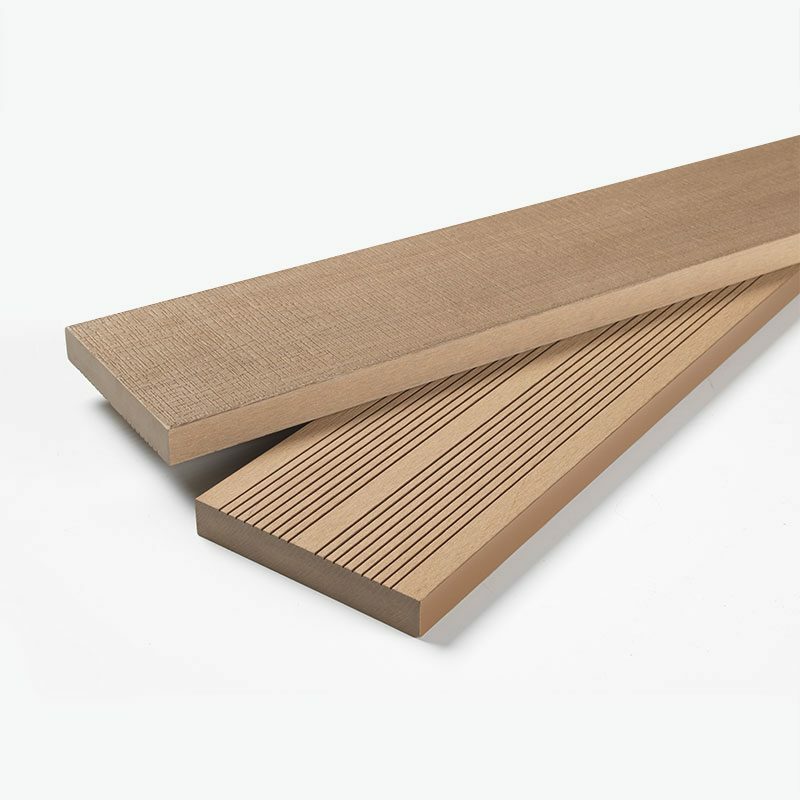 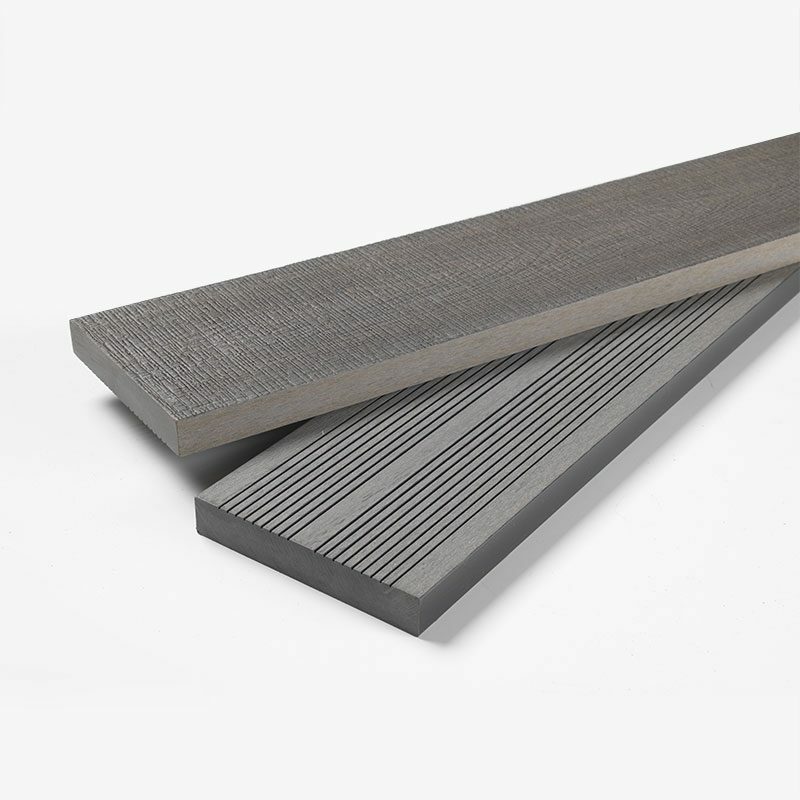 Our solid composite decking range comes in 4 glorious colours – a light grey, a dark grey slate, a rich and dark brown and a light brown teak. Each of the stunning colour finishes is designed to replicate natural wood, finished with stunning grooves and patterns which make the solid composite decking boards look almost indistinguishable from the real thing.